Creeping Thyme Thymus Serpyllum is a hardy compact perennial plant. 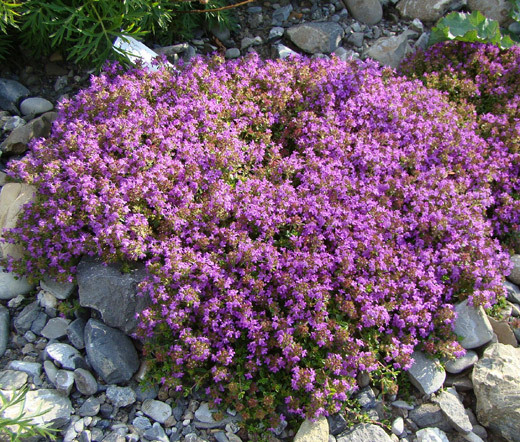 The ordering Creeping Thyme bulk seeds can be very economical way to start this outstanding, creeping, woody based perennial as a lawn substitute for small areas. 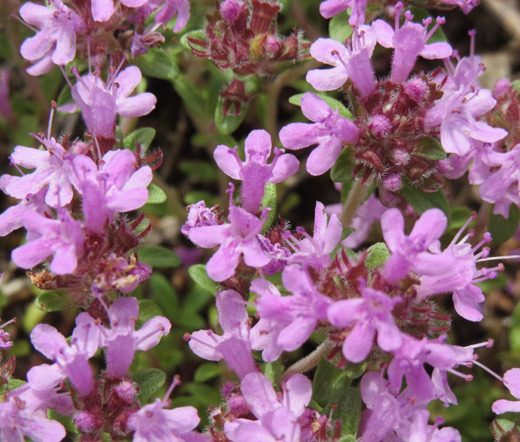 Also called Wild Thyme or Mother-of-Thyme and primarily grown as a ground cover, Creeping Thyme forms compact, evergreen mat of attractive foliage with tiny rounded, glossy, blue-green leaves and produces clusters of small, deep-pink, lemon-scented flowers that appear all summer long. Creeping Thyme is an outstanding, light foot traffic tolerant, flowering ground cover plant that is also can be grown in rock gardens and over walls. Thymus Serpyllum bulk seeds provide a great opportunity to grow Creeping Thyme when substantial coverage is needed. Creeping Thyme is a very dependable, care-free, evergreen, perennial ground cover that easily adapts to different soils and tolerates drought.